FANTASTIC 9+ acre HOBBY FARM! All the CHARM of a classic farmhouse with modern day functionality. 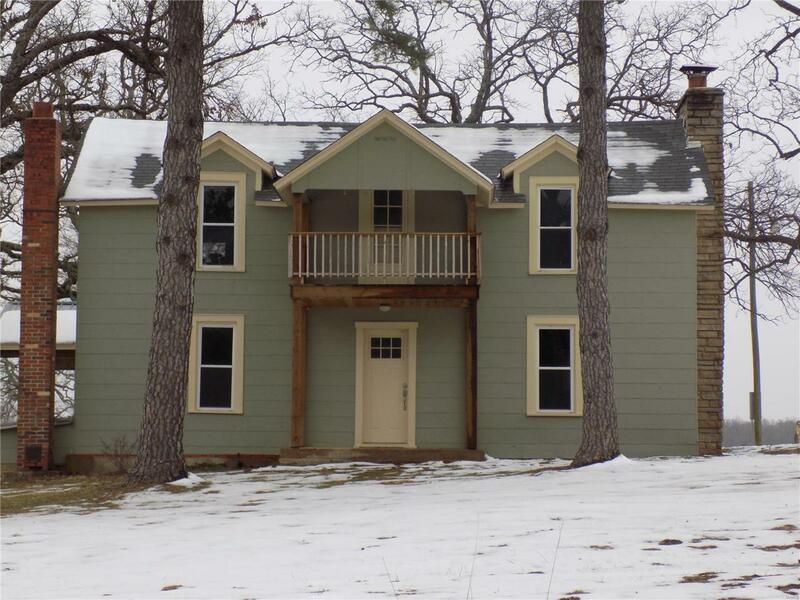 4 BR/1 BA, Updated kitchen & bath, stone fireplace w/wood burning insert & tons of built-ins to make your life easier & more organized. New ext. doors & tilt-in windows & great upstairs balcony for enjoying the country life! Original hardwood floors throughout with an amazing historical staircase. The kitchen has stainless appliances, butcher block counters & plenty of storage. The walk-in Onyx shower mixes luxury with vintage charm in the bathroom. There is plumbing upstairs if another bath is desired. Front loading washer & dryer stay with the house. Front & back covered porches provide spaces to sit & enjoy the sunrise. The HUGE Barn & shed/workshop both have electric & concrete floors. The barn has an impressive hayloft & 5 stalls. Plenty of fencing, cross-fencing & special areas for all your animals. Great pastures, fruit trees & a POND. Come see this AMAZING property!